It's funny to read those "day in a life" things from famous people. I thought I'd do my own. So, here goes. 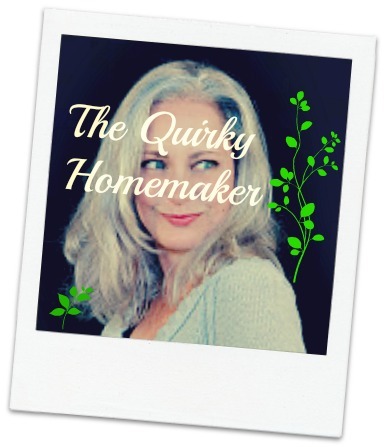 . . . . a day in the life of the Quirky Homemaker. 5:57 a.m.-- Alarm goes off. Hit snooze twice for 10 minutes each. I know, I know. It's better to just set the alarm for 20 minutes later. It's so hard though! Or just get up at 5:57 and get something done. Also hard. 6:17 a.m.-- Say a little prayer that God directs me the way I need to go that day. 6:19 a.m.-- Get up and get my socks, robe & and glasses on. 6:20 a.m.-- Go to kitchen to help kid #1 get his cereal bowl. 6:21 a.m.-- Pack school lunches for both kiddos. 8:52 a.m. -- Brush my teeth & change into my work clothes. 2:45 p.m. -- Finally eat lunch --Tuna with crackers. . . and a pickle. . . standing in the kitchen, because I felt like it! 3:00 p.m. -- Make coffee (not a usual thing!) 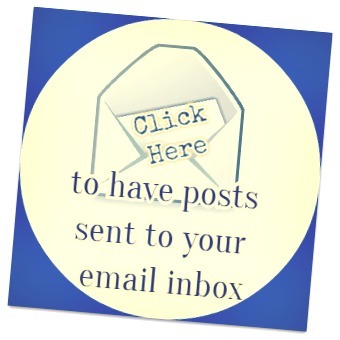 and check emails and Facebook. 3:12 p.m. -- Greet kid #1 off the bus and get our afternoon hug. 3:15 p.m. 4:50 p.m. -- Work on product review stuff for blog. 5:00 - 6:50 p.m. -- Run errands. . . including sitting in traffic for a half hour trying to get where we're going at rush hour. Fun! Bank, Target for birthday gifts & tshirts for field day. . . already. 7:00 p.m. -- Throw frozen pizzas in kitchen oven. It's Friday night. Pizza wasn't on my menu plan, but pizza it is! 7:04 p.m. -- Open a Beer, Remember we need to take bread out of the freezer for sandwiches for between soccer games tomorrow. 7:05 p.m. -- Write on Blog "Open a Beer"
7:30 p.m. -- Eat Pizza!!! 7:45 p.m. -- Cut up fruit before it goes bad. Contemplate emailing organic delivery company because 2 out of 3 of the mangoes we received the day before were completely brown and 5 of the strawberries were moldy. 8:08 p.m. -- Clean kitchen. Again. Take out trash. 8:30 p.m. -- Check Facebook to make sure we don't have plans with friends to have drinks together. End up vegging out on the computer for an hour catching up on FB and reading silly things. 10:00 - 10:24 p.m.-- Stretch to get closer to doing splits. 10:30 p.m. -- Start watching Groundhog Day on Netflix with family. 11:30 p.m. -- Realize I can't keep my eyes open to finish movie. Go to bed. One day in the life of the Quirky Homemaker. Wow! That is a long day. You eat dinner pretty late and your kids leave for school later than mine do. Maybe I should post something like this on my personal blg. You can really learn about someone by what they do in a given day. Enjoy the rest of your weekend! Haha! I meant to put a disclosure at the bottom that my day is nowhere near as busy as SOME moms' days. I know I don't do half the stuff some moms do. I truthfully don't know how we all handle it sometimes. :) Dinner was late b/c we had to run the errands. I'll be on the lookout for your post if you make one! Thanks, Lowanda! I will do my best to enjoy the weekend! I bet you stay pretty busy as well. Hope you have a wonderful weekend! What a long and busy day! I hope you had a relaxing weekend!